Falc-O-Tex and Falc-O-Stick P.T.F.E. 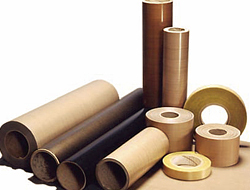 fabrics and tapes are available in standard and anti-static grades in both plain and self-adhesive versions. Our products are supplied in standard widths or in tape form slit to customers own width requirements from 10mm – 1000mm wide in 15m or 30m rolls.